7 Essential Graphic Design Interview Questions - Ready to Answer Them? 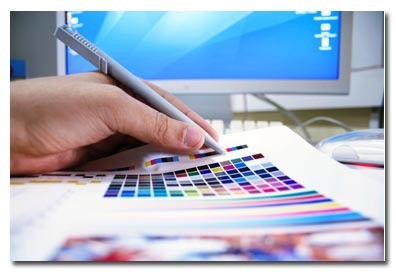 Many people choose to pursue career in graphic design, and you will compete with other designers in your interview. You will have to convince the hiring managers to choose you, and not one of the other job candidates. How can you do it? What do you need to do to succeed and get the job? You have to come up with good answers to their questions–that is the first thing, the foundation stone of your success. The second part of the puzzle is a portfolio of your best works. The portfolio is indeed a crucial element of your success story. A job candidate who gives good interview answers (not excellent answers, but good-enough answers), and brings a great portfolio to the interview (one that matches the job offer, one that demonstrates the value the designer has brought to their former clients and employers), will often get the job at the end of the hiring process. But you probably already have your portfolio, and if you do not (which will surprise me, since each designer should have a portfolio), have a look at our article that deals with the topic: Portfolio in a job interview. 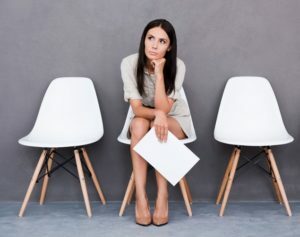 Let’s turn our focus to the questions you will have to answer in an interview. Why do you want to become a graphic designer? You should focus on your passion for designing things, on your ability to come up with creative ideas, and on your personal belief that the job will make you happy in your daily life, since you enjoy designing the things you will design while working for the company. Show them that you did not choose this career just becasue it pays well, or becasue it is trendy, and many people follow the same path in 21st century. Show them that you see a meaningful purpose in your job, and know what you want to do in the future. Why do you apply for a position of a graphic designer with us, and not with one of our competitors? You can say that you are really good at designing things they design in their company (web sites, t-shirts, machines, anything they do design). Needless to say, you should be able to backup this claim with your portfolio. Alternatively you can point out their good reputation, strong brand, corporate values that resonate with your values (if they have any of these things, things that a good company should have), fitting working environment, good location of the place, etc. This question is your chance to praise them for the things they do, and you should take this opportunity. Every person likes when the others recognize their good work, and the people who will lead an interview with you aren’t different (at least not in this aspect). What characterize a good graphic designer? Creative ideas, understanding of the needs and desires of a target customer, patience at work, attention to detail, technical skills, talent for drawing, healthy level of self criticism and ability to accept criticism from other people, are just some features that characterize a good designer. You can also approach this question from a different angle, saying that the results of the designer speak for their quality. If they design things that sell, things that draw attention of the public, campaigns and designs that are successful in the market, then we can certainly call them good. Have a look at the job description, and try to understand what they do in the company. Show them that you like to be busy in work, that you do not like to waste time, sitting on your chair, chatting with colleagues, doing nothing (or perhaps refreshing your Facebook wall). Maybe you like to do exactly that–nothing, but you should not mention it in your interview answer. You can mention that you like to take a creative break (drink coffee, smoke a cigarette), since these breaks are common, and even necessary in design industry (people would quickly get mad if they spent all days looking at their computer screens). What are the current trends in graphic design? I can not suggest you an exact answer to this one (becasue this article is meant to be an evergreen content :). The trends do change constantly, and you can be reading this article in 2018, or in 2022. What is more, the trends are specific for each country. Nevertheless, you should always look at their design works–what they do, and what trends they apply in their latest designs. You can mention these trends as the most recent trends, the trends you try to follow with your work. Alternatively you can just google for the latest design trends, and build your answer around them. One way or another, you should try to convince the hiring managers that you try to keep your knowledge up to date, that you watch trends and industry news, and do all you can to stay at the top of your game. This is a time to take a portfolio out of your briefcase (or your laptop, if you have made only an electronic form of your portfolio). Show them the most relevant designs, and most importantly, try to speak about them from the perspective of your clients, perspective of people you worked for. Tell the hiring managers how your design works helped the clients to earn more money, to improve their sales volume, to improve the recognition of their brand, or to achieve some other goals they followed. And if you apply for your first job, and have designed things only for yourself (or at school), speak at least about the designing techniques you learned while working on your latest projects (school projects), and how this experienced helped you to get ready for “a real job”. Professional interviewers will always give you a chance to ask questions, typically at the end of the interview. 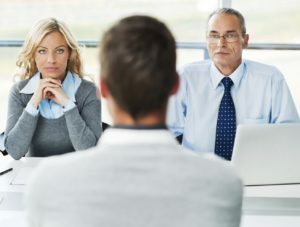 And you should actually ask them something, simply becasue it shows that you still want the job, after everything that has happened in the interview. You can ask them about one of their campaigns, or a particular design work that has caught your eye. Show them that you did your homework, that you care, that you are interested in what they do. A good question can actually lead to an interesting discussion (for example you can give them feedback on one of their works), and can help you to move once step closer to a new job contract. Interview Success Package – Multiple brilliant answers to thirty most common interview questions (including the difficult behavioral questions). Great and inexpensive product from our production, designed for people who apply for their very first job, and for people who experience job interview stress. Together abroad website – Another list of interview questions for graphic design, applicable mostly for recruitment in European Union. Collection of best design portfolios – The collection includes Heather Shaw, Tobias van Schneider, Alessandro Scarpellini, and other famous names from the industry. A great portfolio is a must if you want to succeed in an interview for a graphic design job. Get inspired by the work of the others, and compose your own, perfect portfolio. Art & Design classes – Creative Line offers and excellent collection of art & design courses, available online, 24/7/365. If you struggle to succeed in an interview, or if you simply believe that you need to improve your design skills to succeed, check out one of the courses they offer. Interview follow-up section – Your work is not done once you leave the company, on the day of your interview. Learn how to write an excellent follow up letter, or make a call. Work portfolio for an interview – Learn how to prepare a selection of your best works, and how to use it to show the interviewers the value you can bring to their team. A great portfolio is a must if you want to get a job of a graphic designer.